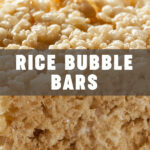 Rice Bubble Bars are the perfect home made snack to include in the kid’s lunch boxes. Simple to make and delicious! Place Rice Bubbles into a big mixing bowl. Set aside. Carefully boil butter, sugar and honey for four to six minutes (if you cook it the full six minutes the mixture will set harder like toffee!). Pour mixture into bowl of rice bubbles. Mix together well. Pop the tin into the fridge, and when cool cut into squares. 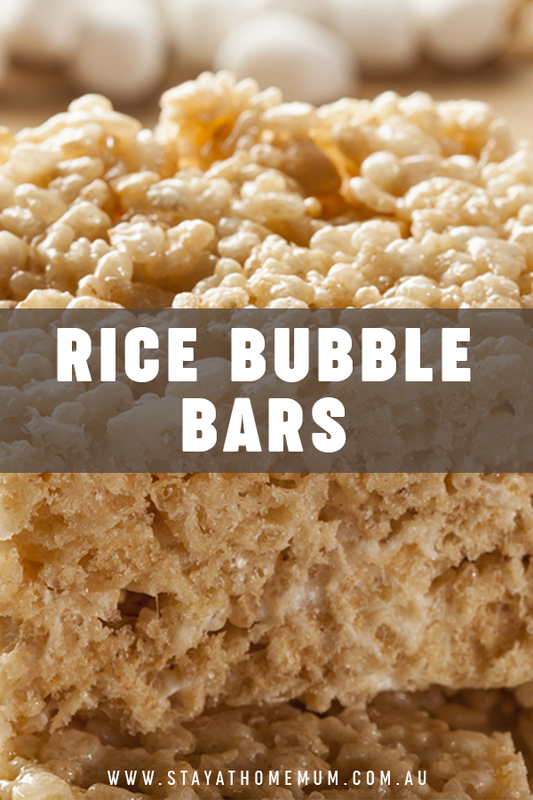 Rice Bubble Bars can be frozen for up to two months. Butter can be substituted with coconut oil. Bars can be kept in a sealed air tight container for up to a week.